We decided to share something a little different this week, and if our readers find this useful, we may do some more tutorials down the road. First off, we have to make a confession about the amount of paper “this and thats” that find their way into our respective homes. 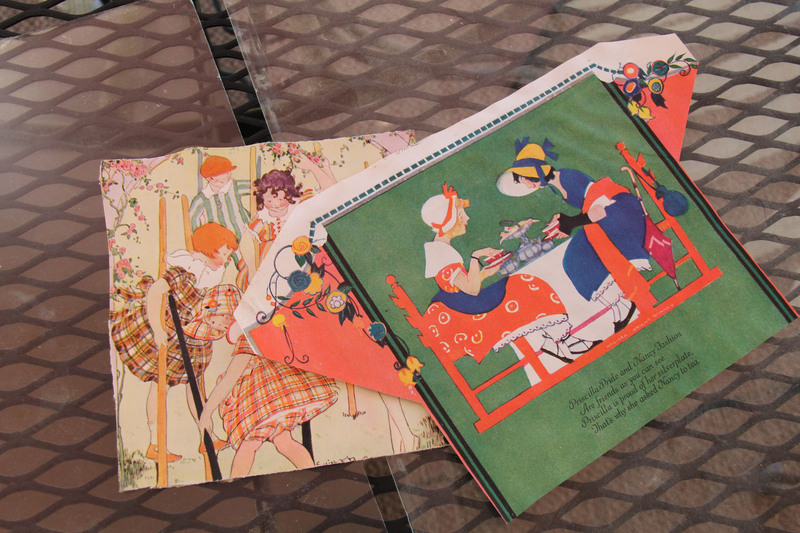 We both love old cards, postcards, Valentines, prints, Victorian “scraps” ads, cards—you name it and we probably have some. 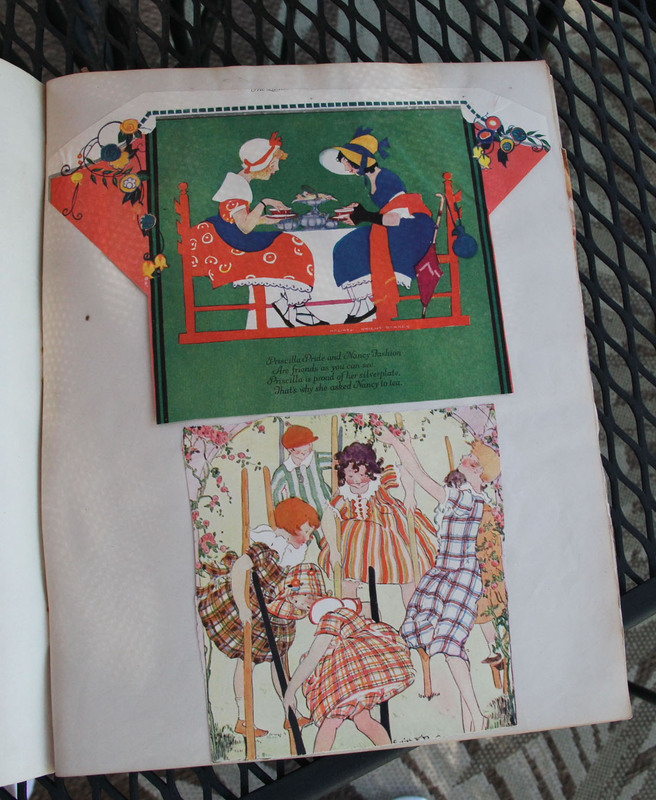 But, one of our favorite things is old scrapbooks. You never know what cool things you are going to find in them. So, OK, we are going to assume that you have this same problem. You found a terrific print in one of those scrapbooks, and you want to make a card, frame it, or otherwise use it free from the surrounding book. In this tutorial I will show you how to remove your prize safely, so it can be used again. Before we start, though, I want to give a great big HUGE warning. Do not attempt this on anything that is “priceless”. If it means the world to you, take it to an expert. Also, this is not recommended for photographs, and you might want to think twice about letters. If you have some question about the printing being able to stand up to water, do a test in one corner to be sure. Most old prints are very stable and able to take this. 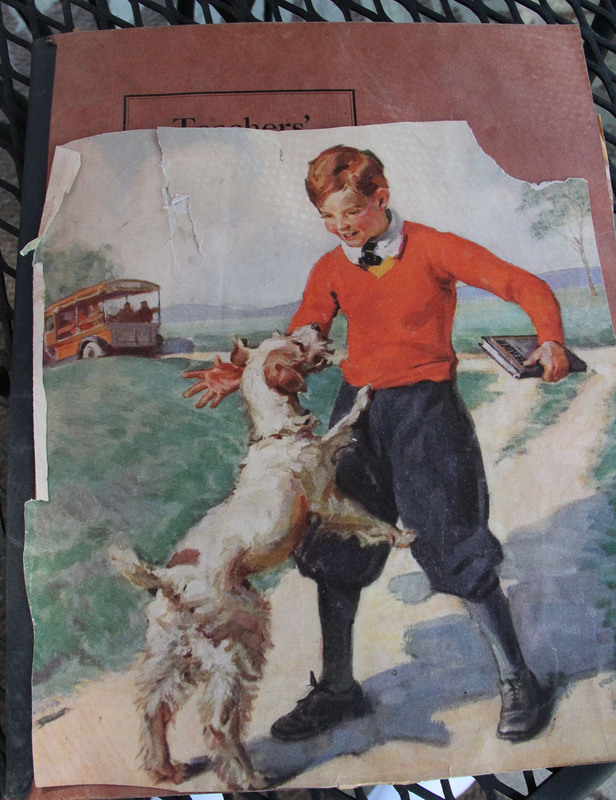 Removing a good rag paper print from an old acidic book will keep the print from further yellowing. 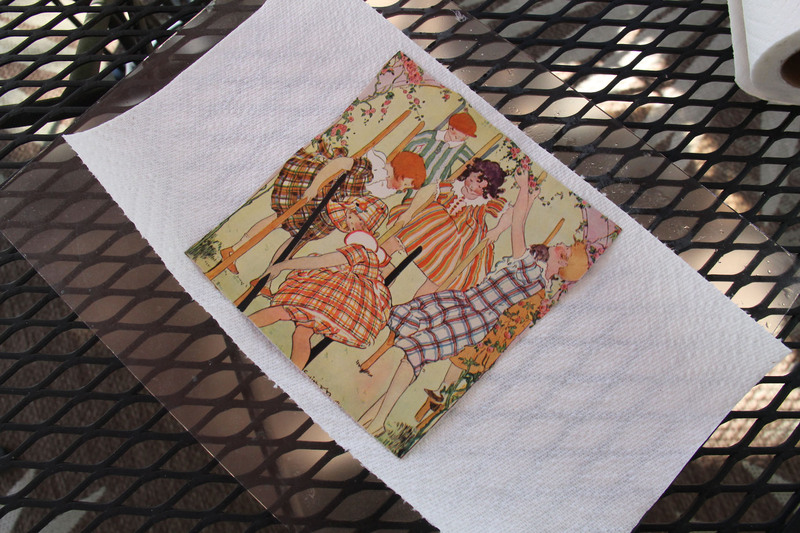 This method will only work with the old water-soluble glues. 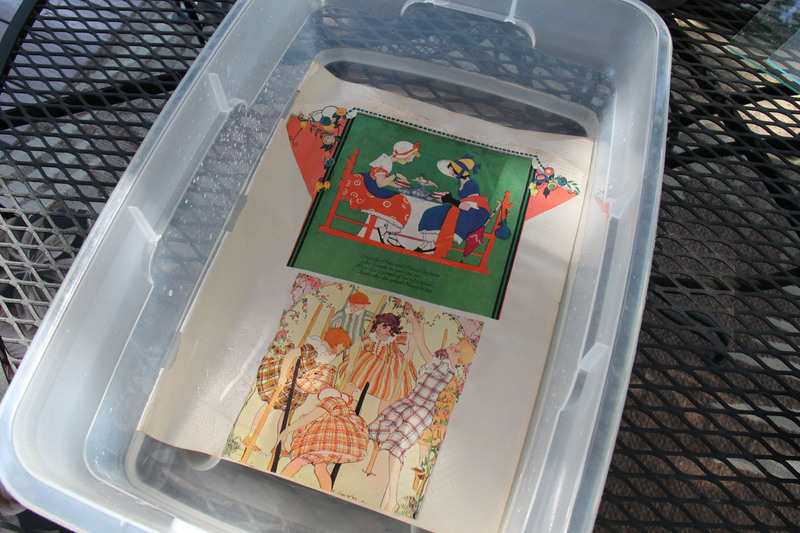 Most scrapbooks from the ’60s and earlier will be no problem. 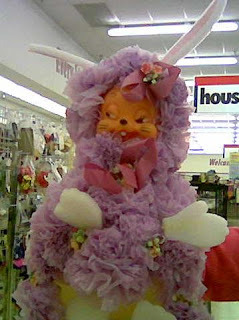 This one is actually an old teacher planning book that someone pasted stuff into. Mostly cute magazine pix, like the one shown. We are going to destroy the book while removing the pix, but there is not much here to save. 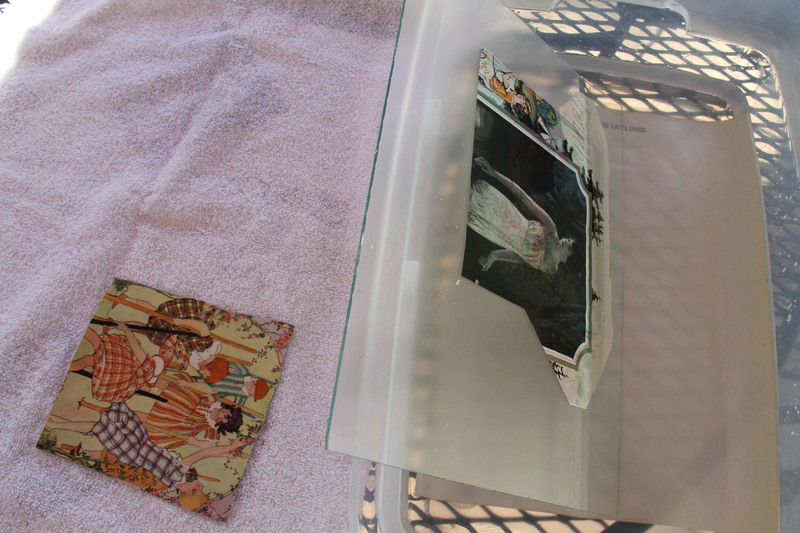 If you want to save the book, you will have to remove the pictures using a cloth soaked in water, and that is a lot more complicated. Let’s start the easy way. A plastic bin large enough for your page. You can use a pan, just something to hold water, but not that story you told your hubby about where all the paper stuff keeps coming from. That story leaks like a sieve! And a supply of patience. Not a lot, but it does take some. This one will net me two cute prints. Sometimes, if there is stuff on the back, you can get a whole lot off at once. For us, right now, just a twofer. Make sure the water covers all of the picture. If there is paper from the book itself hanging out of the water, that is fine, just make sure the whole picture is down and stays down. It might take a minute of gently pushing it back in, till it wants to stay. Here is where the patience comes in. Walk Away. Go make yourself a cup of coffee, call your talkative aunt, whatever it takes to leave it alone for a half an hour or so. It can take more or less time, and you will figure out how much, if you are doing several things from the same book. Depends on the scrapper’s predilection for glue, and the type used; just don’t rush it. If you are lucky, you will notice that the paper has floated free. Otherwise, gently try a corner. If it still seems sort of stuck, then go find another relative to chat with. You can peel things up, but the paper has much less strength when wet. You run the risk of tearing your picture, so just take it easy. You can tell if there is still some on the back by the slight slimy feeling. Just rub very gently with your fingers till that is gone. (If this only worked with used car salesmen!) This is why you need room to work in your tub. Once the items are removed from the tub, blot as much water as you can with the towel. 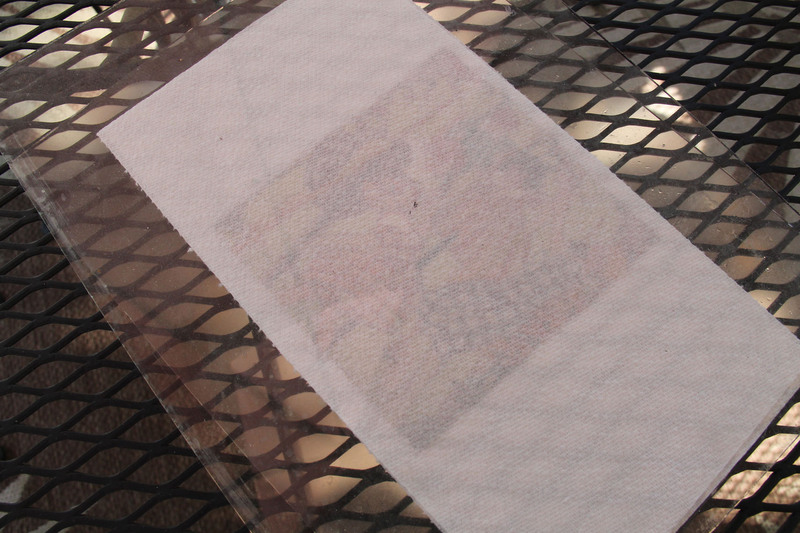 Make sure the pictures remain on a flat firm surface to avoid distorting or tearing the paper. 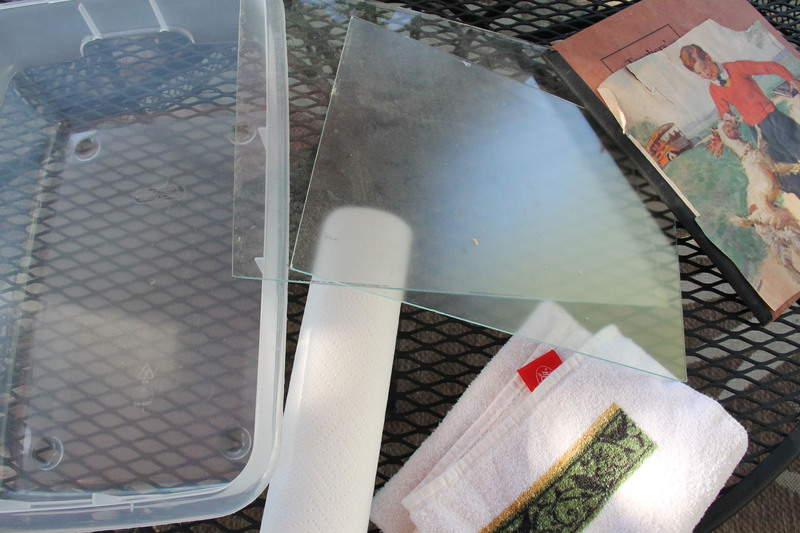 For more fragile items blot right on the glass. 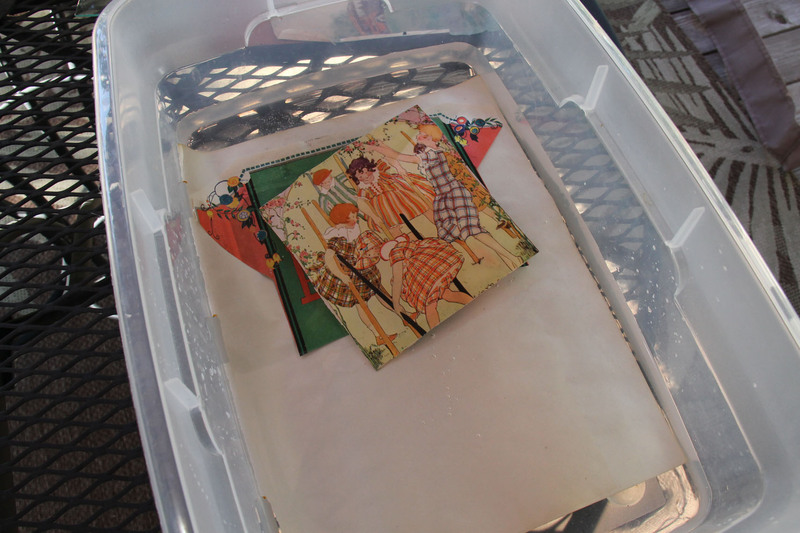 Remove and discard the scrapbook page. (Don’t forget to do the items on the back if there are some!) 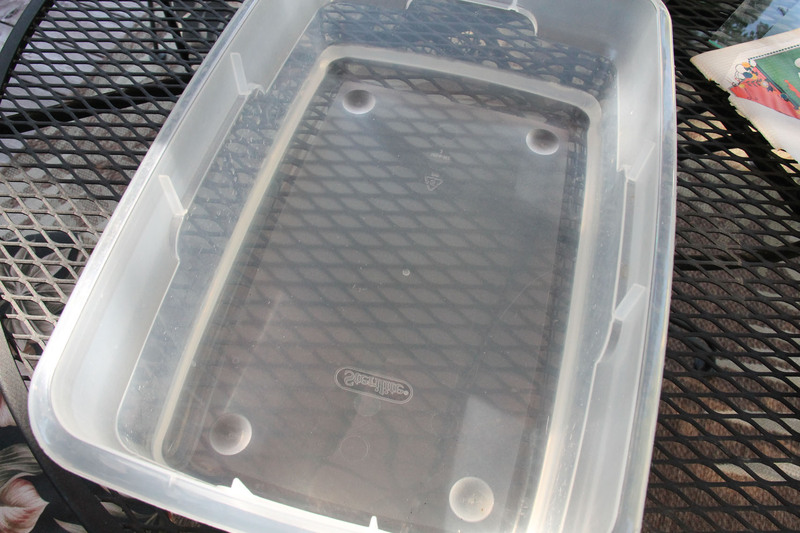 You can reuse your water, as long as it doesn’t look too gluey; just replace as needed, if you are doing a lot. This method takes a while, as not a lot of air gets through there, so the towels need to be changed a couple times a day for a few days depending on your humidity. I just leave the paper towels out to dry and just keep switching them back in, so as not to use a whole roll of towels and mess up my carbon footprint. You can also use cloth; just don’t make it too thick, or you will have wrinkles. On a 90 degree day they dry in no time flat, so this works really well when you have a lot to do. If you were impatient and got them out before they completely dried, and they wrinkled or curled just a little, they can be lightly pressed with a warm iron. Just don’t get it too hot, or you can turn a whole page yellow! Hope you enjoyed this, and found it useful. If so, pass it along to someone who might also find it useful, pin it, or bookmark it for future reference. Let us know how it works for you, and if you have any questions, let us know in the comments or feel free to email us. This entry was posted in Tutorial and tagged DIY, How to, Paper Ephemera, Scrabbooks. Bookmark the permalink. Very cool! Now what will you do with the illustrations? Love this sort of crafty tutorial – thank you! Well, some we frame, some are used for homemade greeting cards, and most are hoarded! 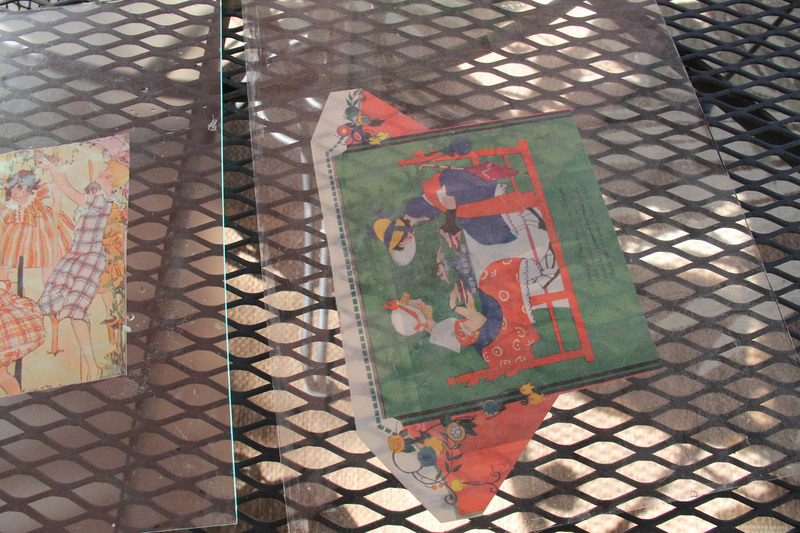 We tell ourselves that we are saving paper ephemera by getting it off of the old acid paper it’s glued to. 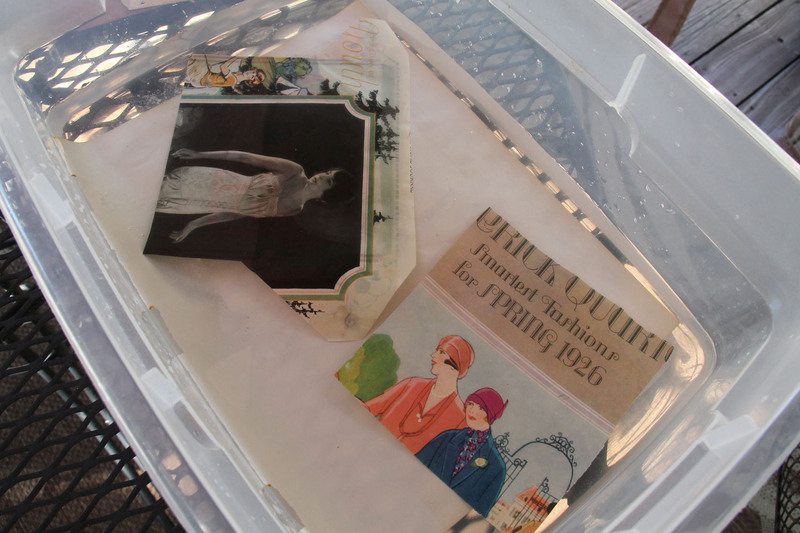 Old paper stuff is a good thing to keep around–it’s not very big and can be stored fairly easily. I keep a lot of smaller pieces in acid-free sleeves in a note book.